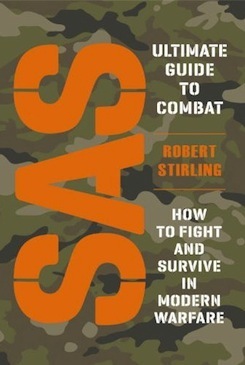 At the age of sixteen, Robert Stirling joined the British Army as a Junior Leader Paratrooper and so spent his first year of service undergoing a strict training regime which alternated weapons skills, drill, physical exercise and education all designed to prepare a soldier for leadership. Entering adult service and passing P Company, the Parachute Regiment selection, led to four tours in Northern Ireland and some covert experience wearing a donkey jacket and carrying an 9mm pistol. He was probably the second youngest ever to pass selection for the SAS at 19 years of age. Robert left the British Army and joined the Rhodesian Army towards the end of the Bush War motivated by a distaste for communism. In Rhodesia, now called Zimbabwe, he led his own unit of 200 men, which included the author Yves Debay and a number of ex-French Legionnaires, against the terrorist leader Robert Mugabe. He was in constant action and wounded twice. 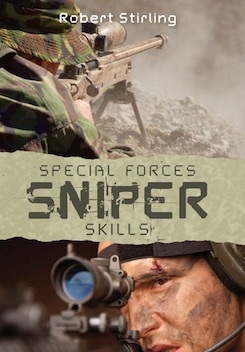 After the fall of Rhodesia, Robert joined the South African Special Forces – The Reconnaissance Commandos - as an instructor. 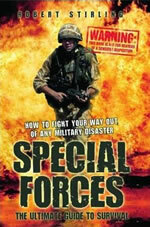 Besides extensive combat experience in numerous conflicts, Robert has also been contracted to recover stolen diamonds, work undercover against mercenary operations, teach unarmed combat to riot police, provide close protection to VIPs and some other duties which it would be inappropriate to specify here. Based in Southern Spain, he travels widely and accepts some consultancy work. Looking at the publishing business from the outside it soon became clear I needed an agent. Having prepared a list from the W & A Yearbook, I methodically mailed all the apparently suitable agents in the UK with an enquiry letter. Andrew was amongst the first five who replied in a positive manner. The choice of an agent is clearly important so I looked at these more closely. Looking at what other people said about these agents, it didn’t take long to discover that Andrew was the man I wanted to deal with. He is universally considered to be a workaholic for his authors, always there with advice or support and a very good salesman. (In a gentlemanly way) So I sent him my submission. I was fortunate that Andrew could see beyond the rough effort in front of him and considered my poor prose to be worthy of his efforts at preparing them for publication.